DVD - Trooping the Colour 1st Battalion King's Own, Hong Kong, 1955. Full colour, no sound, transferred from archive footage. Price including UK postage £7.00. 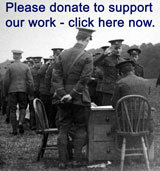 DVD - Lancaster Mobilisation and Morecambe Volunteer Training - 1914. 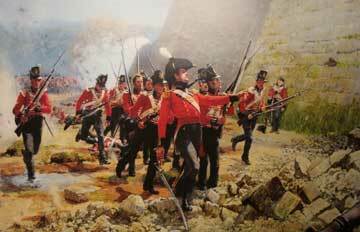 Featuring the men of the 5th Battalion King's Own. Black and white. Approx 8 minutes transferred to DVD from archive footage. Price including UK postage £7.00. 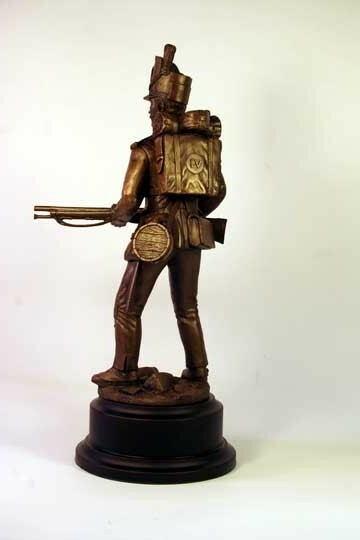 CD-Rom of Regimental Marches of the King's Division, including the King's Own, Border and King's Own Royal Border Regiments. Price including UK postage £13.00. 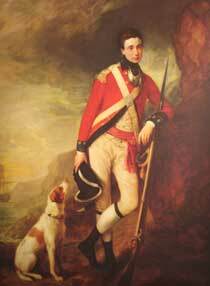 Art Print - An Officer of the 4th Regiment of Foot circa 1770s by Thomas Gainsborough. Exclusive to the museum. Price including UK postage and strong postal tube, £15.00. Art Print - The Forlorn Hope, San Sebastian, 1813 - a famous regimental picture of Lieutenant Francis Maguire leading the Forlorn Hope on his 21st birthday. The image size is 595 mm by 346 mm and the print is on fine quality paper. The total size of the print is slightly larger with a border all around. Price including UK postage and strong postal tube, £15.00. 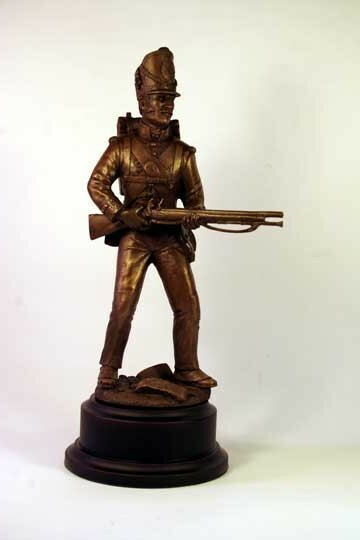 Regimental Figurines by Ballantynes of Walkerburn - 9" high plus base. 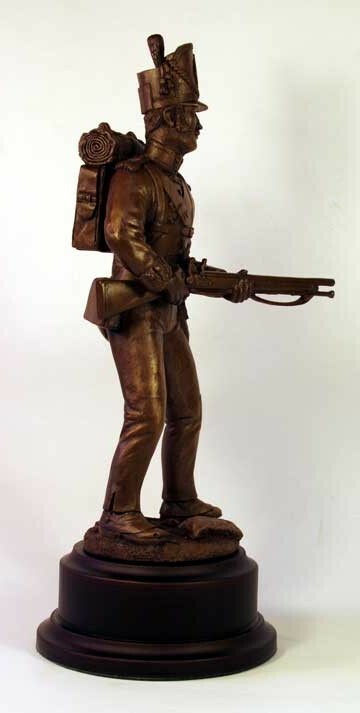 Bronze figurines are all one colour. 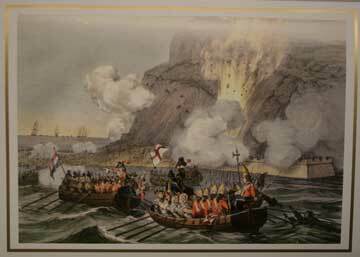 Greeting Card featuring 1704 image of King's Own at Gibraltar. Blank for your own message. Suitable Christmas etc. Price for pack of five including UK postage £3.50.